New research is released every day that points to stress as a main factor in major health problems. From fighting obesity to fighting the common cold, reducing stress and increasing sleep time are two key ways to Get Well. is that in times of stress (whether it be an overfull work schedule, travel, or family challenges) when we need the most rest and relaxation to maintain our health, falling asleep and STAYING asleep can be quite difficult. This 15 Minute Nighttime Ritual May Be Just What You Need To Soothe Your Body, Skin, and Mind. 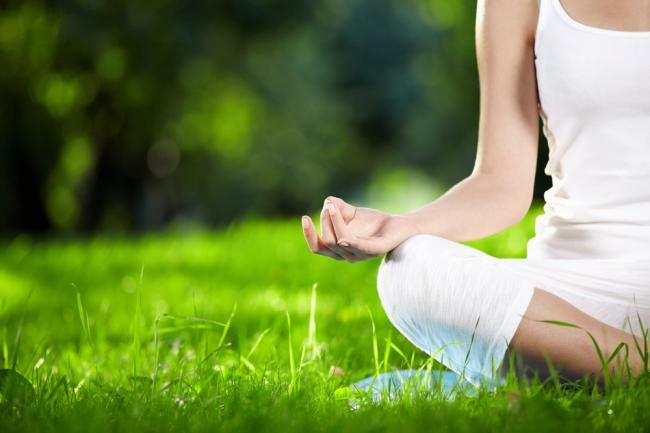 Begin your ritual with a calming pose that you like. Downward Dog, Cobra, or Happy Child work well to calm the body and clear the mind. Next, wash your face with your favorite cleanser to remove all the dirt that has accumulated over the course of a long day. Then apply a generous amount of a mask to your whole face. I love the JUARA Turmeric Antioxidant Radiance Mask for this step. The Kaolin Clay draws out impurities from the pores, while the Turmeric helps brighten my skin. While you let the mask work on your face for 10 minutes, enjoy your favorite decaffeinated beverage in your favorite room of the house. But if you opt for wine, keep it to one glass- too much alcohol effects our quality of sleep and will make you feel sluggish the next morning. Also, try not to watch TV or use the computer during this break. Research suggests that tablet or laptop use up to 2 hours before bedtime hinders our ability to naturally release melatonin (the hormone that makes your sleepy). Instead, read a book or spend some time catching up with your loved ones. After giving your body, mind, and skin time to relax, wash off the mask with warm water and directly apply your favorite moisturizer or serum to leave on the skin overnight. Skin is most receptive to treatment at night, so this is the time to apply product that’s packed with antioxidants and other restorative ingredients. Your skin also loses quite a bit of moisture over the course of an evening, so don’t skimp out on the moisturizer! When you’re finally in bed, give yourself a mini massage with your favorite body creme and turn out the lights. Once the lights are out, focus on your breathing for a bit of light meditation. When I feel worries trying to enter my mind, I visualize stuffing them into a drawer or putting them into a bag and telling them “I’ll get back to you tomorrow”. Breathe deeply, visualize a peaceful, safe place… mountains, ocean waves, warm sun…zzz…. that your post-exercise flush on the cheeks won’t go away. Or perhaps you notice little red bumps that look like acne pimples. If you are in your 30s or older and have fair skin, you may have rosacea. Rosacea is a chronic skin disorder that affects approximately 1 out of 20 Americans, usually between the ages of 30 and 60. Irritated eyes that, if untreated, become worse over time. Currently, there is no cure for rosacea, but with proper treatment and awareness of triggers, symptoms can be controlled and the disease kept in check.Once you are properly diagnosed, your physician may prescribe a topical or oral treatment to address the redness, bumps and skin inflammation associated with rosacea. 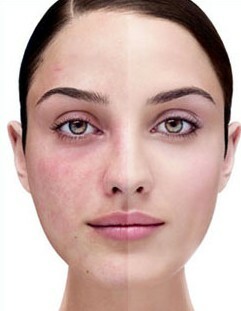 Many dermatologiss also recommend laser and intense pulse light treatments to reduce redness and broken blood vessels. These new therapy options are considered safe and can visibly improve skin tone and texture. There are also things you can do on a daily basis to help control the symptoms of rosacea. 1. Be aware of factors that trigger your flare-ups. Triggers include sudden temperature changes, hot baths, exercise, alcohol consumption, spicy food, sun exposure, stress and harsh cosmetics. 2. Choose gentle skincare products that do not contain alcohol, harsh detergents or abrasive ingredients. Products with calming ingredients such as JUARA Tamarind Tea Hydrating Toner and JUARA Clove and Turmeric Serum help soothe skin and keep it hydrated. Rice Bran Extract, a key ingredient in the toner, provides calming benefits and minimizes redness in the skin. 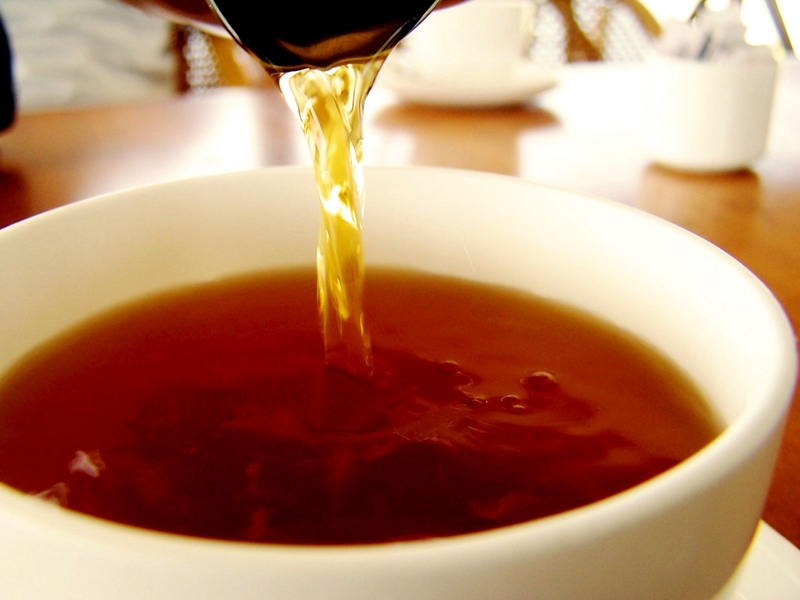 Green Tea, Black Tea, and White Tea, when combined, calm the skin and deliver a bundle of healthy antioxidants. Turmeric, a super-ingredient, brightens and evens out complexion while providing free radical protection. Concealers with a green tint neutralize redness in the skin and can be worn underneath regular foundation. 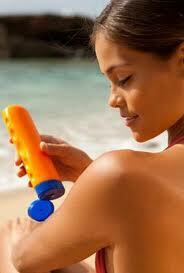 Since sun exposure is considered a trigger factor, daily sun protection is key. Apply a broad-spectrum sunscreen with an SPF of 15 or higher, such as Suntegrity Natural Moisturizing Face Sunscreen, and wear a hat and protective clothing outdoors.